Before I had my children I had always thought what it would be like to be a Mother. Somebody’s Mummy, having that tiny little person to look after, dedicate my life to, learn & bond with. My soulmate & I were together 4.5 years when we fell pregnant with our first baby, throughout the blissful pregnancy I was always thinking about how I would be as a Mummy, what our little bundle will look like, what personality he or she would have, what he or she would sound like. Those first few words are so incredibly precious, babbles, giggles, gobbidy-goop sentences that only you understand, funny little conversations you have with them touch your heart big time. And then they start to understand certain words, and then those sentences and they come out with the words you never really thought you’d hear and only dreamt of… “I love you so much Mummy”. The first time you hear those sweet little words is enough to make you burst with pride, joy and a whole lot of happiness all in one big bang. I love to make sure we all say our “I love you’s” especially after our bedtime stories – the girls are the first to shout “I LOVE YOUUUUU! to us both… and to little chap. 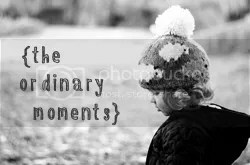 but its those little spontaneous moments when you watch them playing, or daydreaming then they just come out with it when you least expect it. “I love you”. We have a little thing we do in our house where they say what they love you like and in little H’s words at the moment “I love you so lots Mummy” then from Y-M we have the whole list of “I love you like….rainbows!, I love you like love hearts! all of those are the sweetest and some are completely random, but utterly adorable. Some people take things like a little “I love you” for granted, and some don’t even acknowledge this amazing connection at all. I just feel super-duper proud & it makes me so happy to hear my little ones say those words to me, its music to my ears – really is. I feel so blessed to have them in my life, to hear those sweet words and I just cannot possibly find all the words I need to describe how lucky I feel and how much I love them. Such a lovely post, and I'm the same. I make a huge point about always saying I Love You to O, but it's the spontaneous ones that are the sweetest. This is adorable, such a lovely post!!! We've not had I love you from our little man yet but like you say it's definitely something you dream about before you become a mummy and i know it will feel just amazing!! I love it when my toddler comes out with 'I love you' just out of the blue. It is just different from her replying to my I love you's. Aww lovely! We are just getting the "Love you so much" right now and it melts my heart every time, can't see it ever getting old!